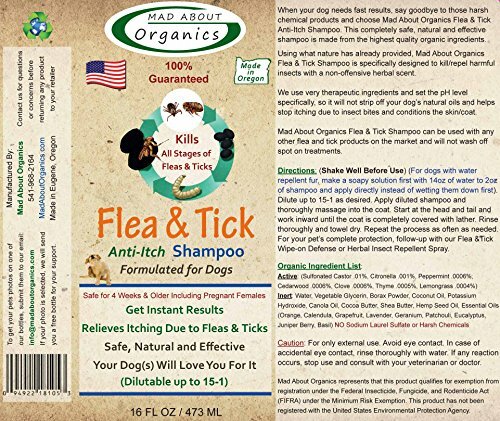 Using what nature has already provided, Mad About Organics Flea & Tick Shampoo formulated for dogs is specifically designed to kill/repel harmful insects with a non-offensive herbal scent. Our shampoo is specifically pH balanced to allow frequent, even daily bathing if necessary. 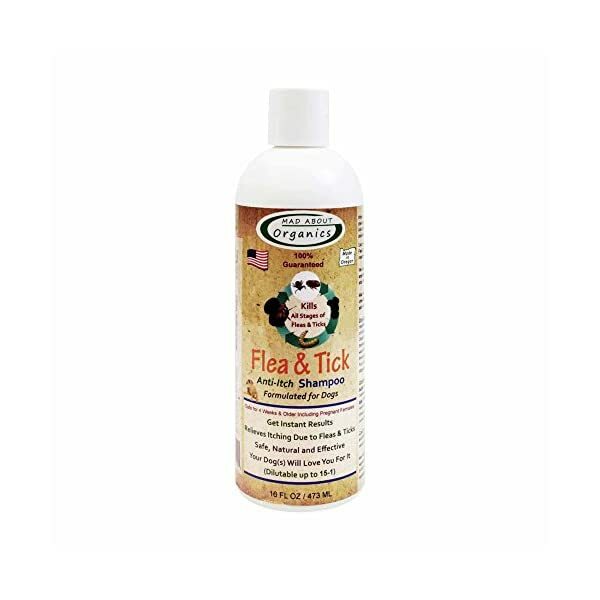 Unlike many harsh chemical flea and tick products on the market, our products are extraordinarily mild and hypoallergenic, with no pyrethrins, no permethrin, no petroleum, and no animal by-products. We use only human grade certified organic ingredients, with no added chemical detergents, synthetic fragrances or colors. Our products can be used on animals as young as 4 weeks of age as well as pregnant females, and are completely safe if ingested from self-grooming. Best of all you don’t have to wear protective gloves to apply any of our products. Nestled in the Pacific Northwest in Eugene Oregon, Mad About Organics started in 2007. Our mission is to take a different approach to protect animals from insects organically, eliminating the traditional toxic chemical treatments that can cause major issues in pets. 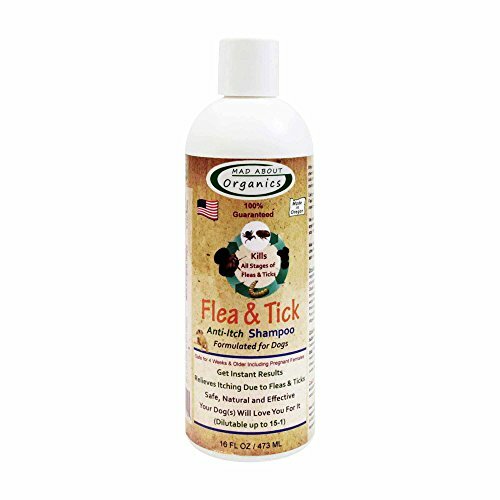 Like you, we only want the best for our animals and have now developed a complete product line consisting of: Flea and Tick, Advanced Dental Care, Healing Skin/Itch Relief, Soothing Shampoos, Healing Ear Cleaner, Healing Salve and our amazing Healing Liniment. Our goal at Mad About Organics is to continue to provide the safest, most natural and effective animal care products for you and the ones you love.